Amsterdam, Paris, 11 September 2015 – Consumers in key European TV markets are ready to embrace Ultra HD as a thrilling TV experience and to invest in equipment and content. 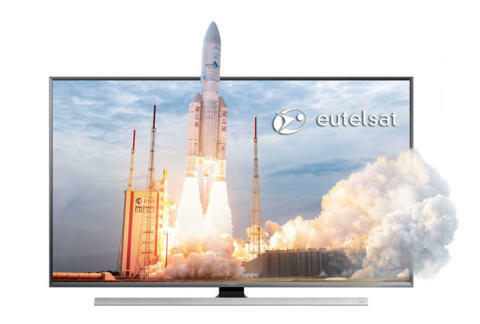 The pulse of Ultra HD was presented today by Eutelsat Communications (NYSE Euronext Paris: ETL) at a press briefing at IBC in Amsterdam. It included key findings of new qualitative consumer research conducted for Eutelsat by market research firm TNS, and fresh data from GfK on Ultra HD screen sales. The consumer qualitative study was carried out in two waves in Italy, France, the UK, Germany, Poland Russia and Turkey: the first wave in November 2014 and the second in June 2015. 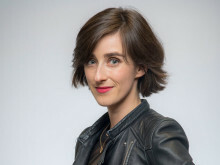 The objective, in a series of focus groups, was to expose pay-TV subscribers and free-to-air viewers to an unprompted Ultra HD experience and gather insight on their response. The results show common trends across all markets. Panellists identified sharpness, immersion and vivid colour as outstanding benefits and indicated a willingness to pay up to €10 a month to benefit from Ultra HD in the home. Their investment threshold for new TV sets also matched current price points of between €1,000 and €3,000 for screens within the 50” range. While Pay-TV subscribers showed a strong preference for linear Ultra HD channels, viewers used to free TV expressed a preference to gain their first experience through VOD and occasional, event-specific offerings. Eutelsat also presented new forecasts from GfK on Ultra HD screen sales over the coming six months and coming five years. GfK predicts a striking 200% hike in Ultra HD screen sales from June to December 2015. It expects sales to hit the five million mark by the end of the year (3.6 million in Western Europe, 700,000 in Eastern Europe and 600,000 in the Middle East), representing 9.3% of all TV sales in 21 key markets in these regions. Accumulated sales will result in a potential installed base of 6.2 million TV homes. GfK also forecasts that Ultra HD screens in 2020 will represent more than 70% of total sales across Europe and almost 60% in the Middle East and North Africa. The annual volume of screens sold in these markets is expected by then to have reached 37 million.